One minute microwave chocolate mug cakes are very famous at my home. Most of the time, I prepare them while watching movies during Sunday evenings. One day, I wanted to eat something with chocolate and immediately thought of preparing the chocolate mug cake. Rushed into the kitchen, opened the pantry to see the available ingredients. I saw half a can of condensed milk left in my pantry after preparing the coconut ladoos. At the same time, I noticed my mom was grating carrot for preparing lunch. 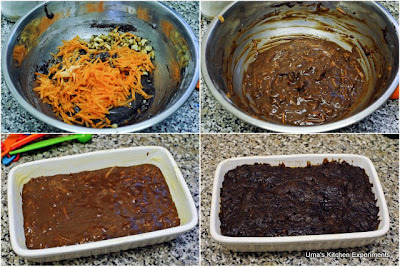 Remembered a bookmarked recipe from Tarla dalal's site and prepared this Egg less Microwave Chocolate Carrot Cake. It came out super moist and soft. I added more walnuts to get extra crunchiness while enjoying the chocolate. 1) Grease the microwave safe bowl with butter and dust it with flour. Keep aside. 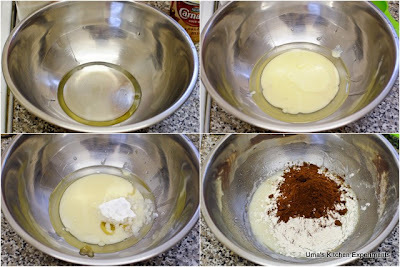 2) Take a mixing bowl, mix all the wet ingredients one by one. 3) Then, slowly add the dry ingredients and make a batter. 4) Finally add the grated carrot and walnuts. Mix again. Transfer this batter to the prepared microwave safe bowl. You can either use paper cups to prepare muffins. 5) Microwave it in HIGH mode for 1 minute. Allow it to stand for 5 minutes. 6) Cut into slices and enjoy. 1) If you notice the cake hasn't cooked well, you can cook it again for few more minutes. This step might vary depending on the type of the microwave used. 2) It is important to allow the cake to cool for at least 5 minutes as the heat retained within the cake will gradually continue to cook the cake. Oh this cake looks wonderful!!! 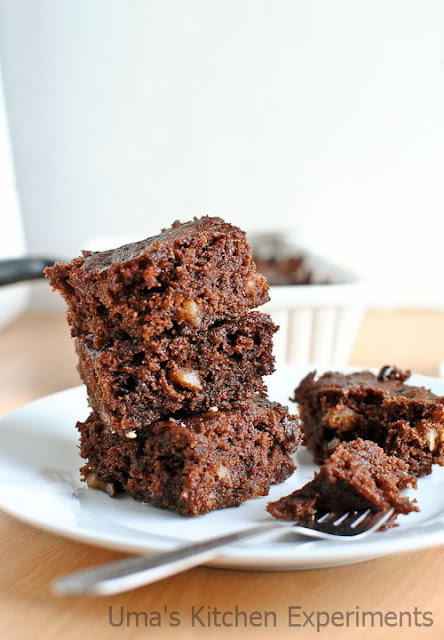 super moist and delicious cake, love this combo..looks very tempting Uma! Oooooo..Ym,Yum,Yum!! this looks fabulous!! Great Pictures! Cant wait to give them a try..
carrot cake and in microwave, i am try it. I have tried it umpteen number of times and loved it very much. Lovely snaps. Absolutely perfect one, lipsmacking good carrot cake. Love your eggless version. Prefect cake for sudden craving, beautiful cake. 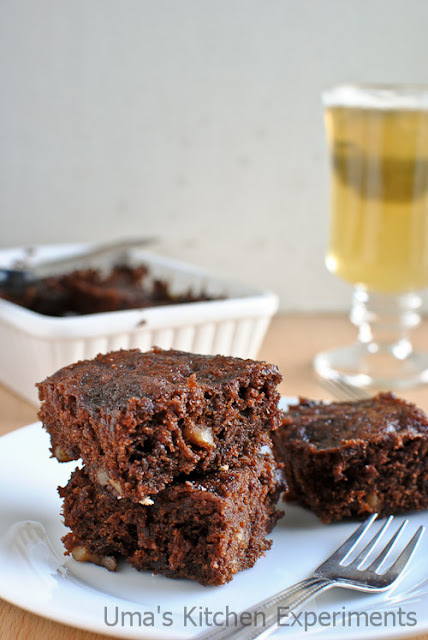 Moist and full with the goodness of carrots...sinful! Whoa. 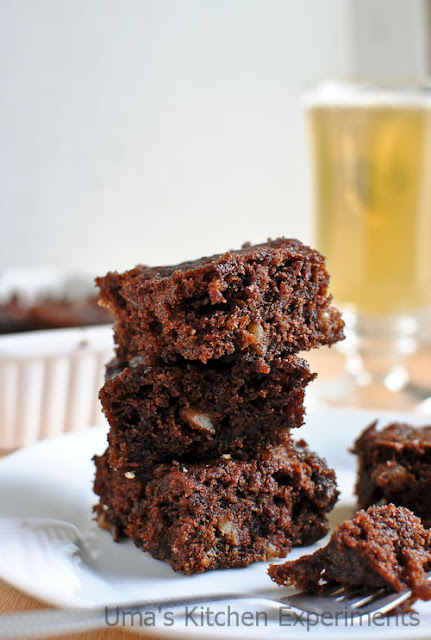 I don’t typically like eggless baking stuff, but those just look down right delicious! I just wanted to say how much I love your blog, your food all looks perfect, and your photography is phenomenal! I have not found a one minute cake so moist and tempting. haven't tried carrots & choclates,yummy brownies..will try!! 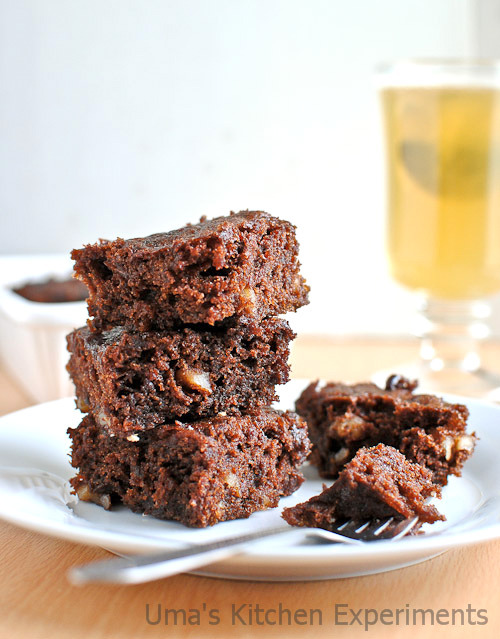 Looks so moist and chocolaty! is one minute in high mode enough for cooking this cake????? ?how will we know the cake is cooked??? @unknown, yes. I kept it in High mode for a minute and then 5 minutes to cool. Just insert a bamboo skewer/ tooth pin into the cake after that. It comes out clean if it is cooked. otherwise, keep the cake again for 1 minute but keep on monitor not to burn it. Sure. You definitely Like it. Hey Uma. The cake looks really yummy. Can we use anything else in the place of condensed milk (no eggs either). Thanks. Thanks soo much !! I dont have an oven and wanted to bake the cake for my husband's birthday myself....I did and it turned out superb !! Thanks so much ! !